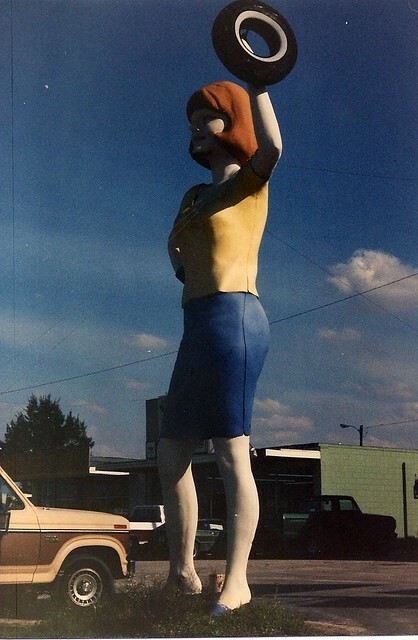 Another first, the female counterpart to the muffler man the Uniroyal Girl. 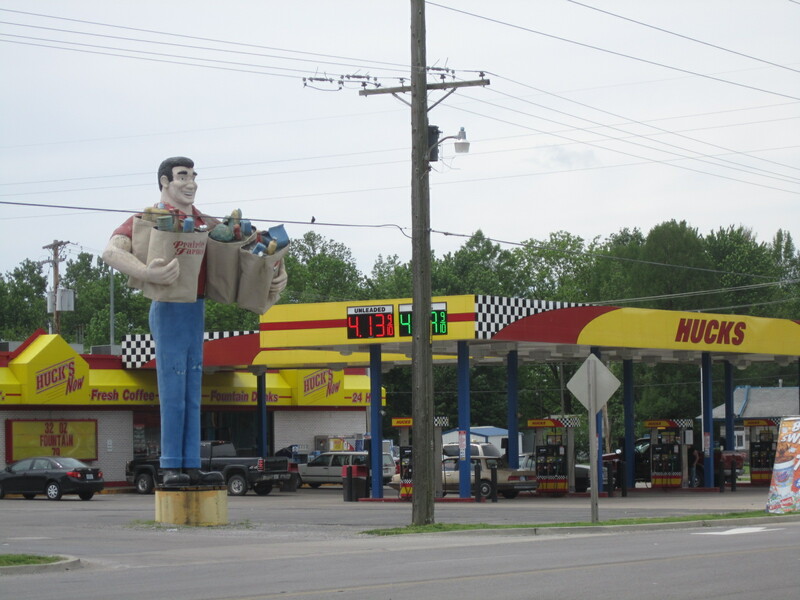 This was my first sighting for the uniroyal gal so I was pretty excited to visit her in Mt Vernon, IL. 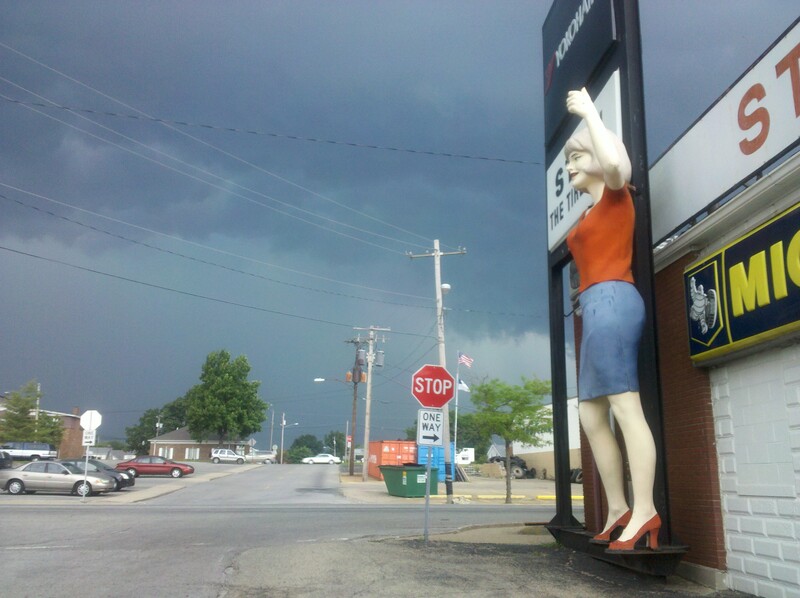 She stands outside the auto shop of Stan the Tire Man and although I have not talked to Stan yet from what I gather she has been in the area awhile. 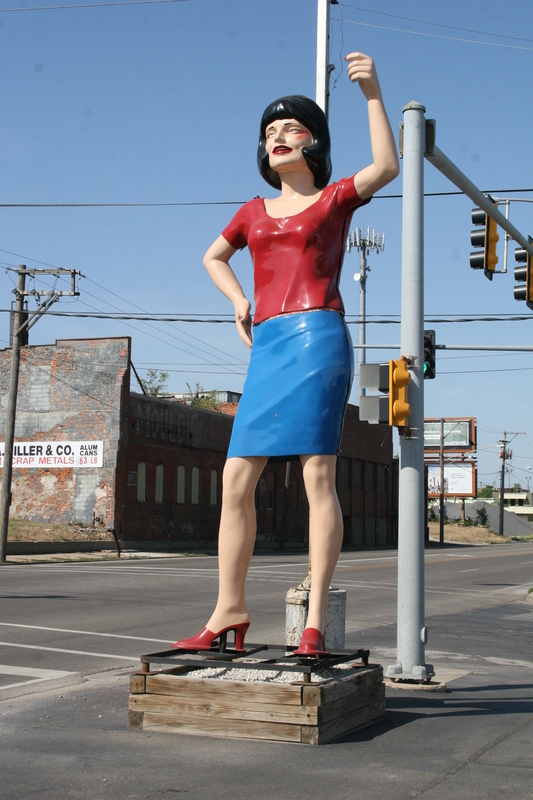 Locals from Salem to the north remember her being here in the area at least 20 years and she once stood in Salem on rout 37 next to a muffler man. 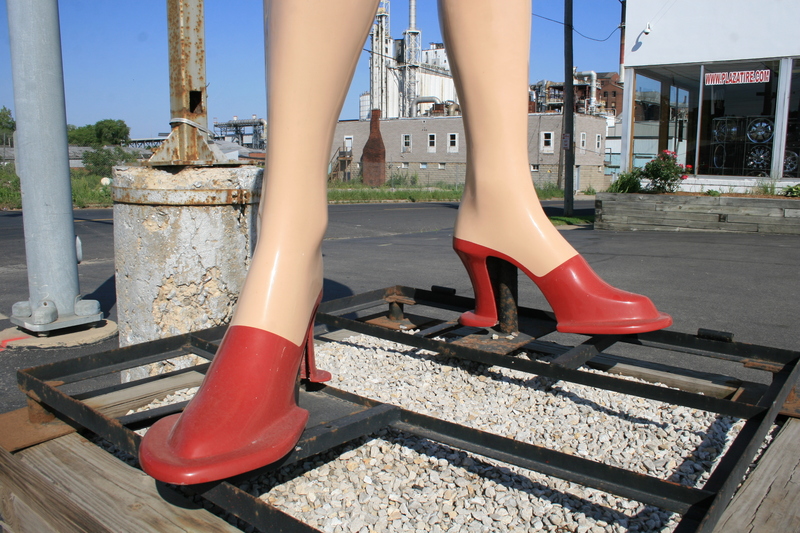 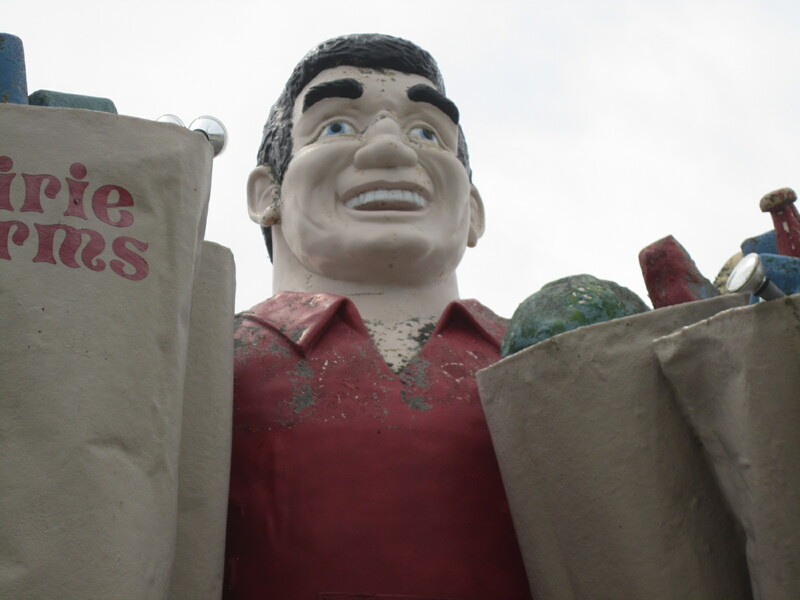 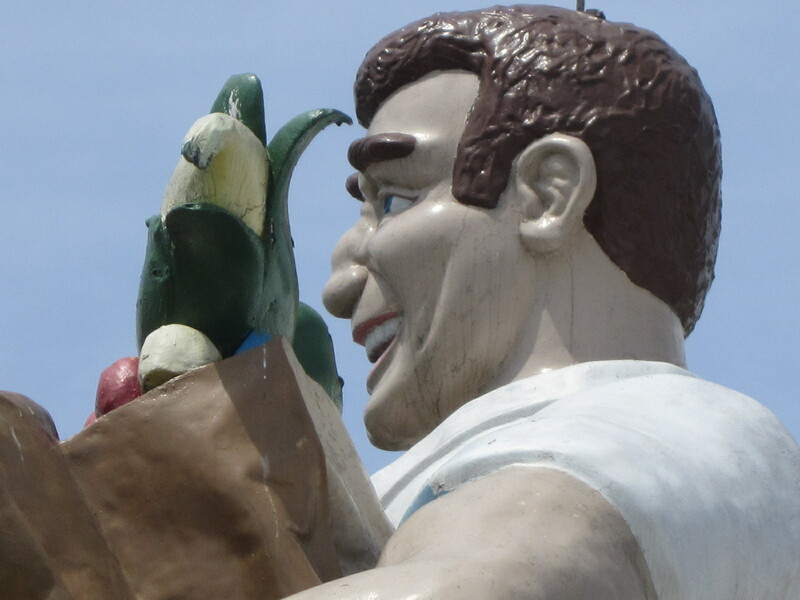 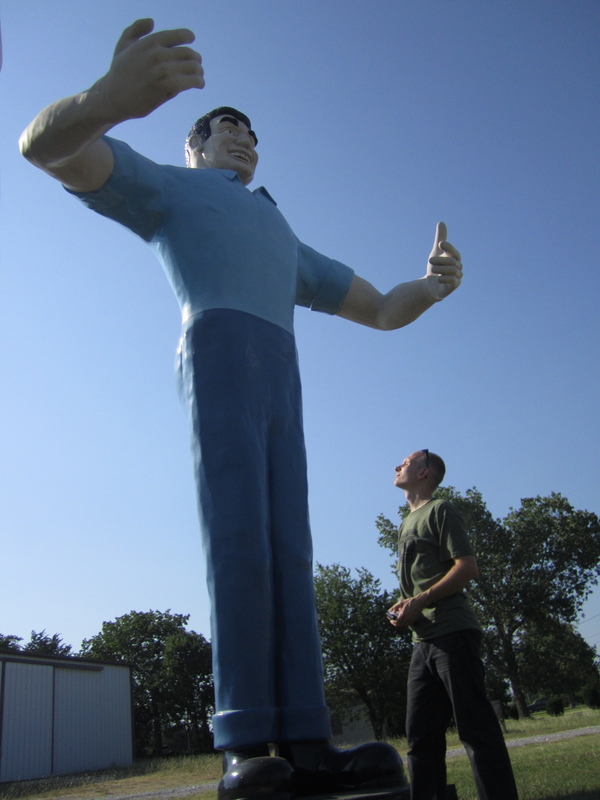 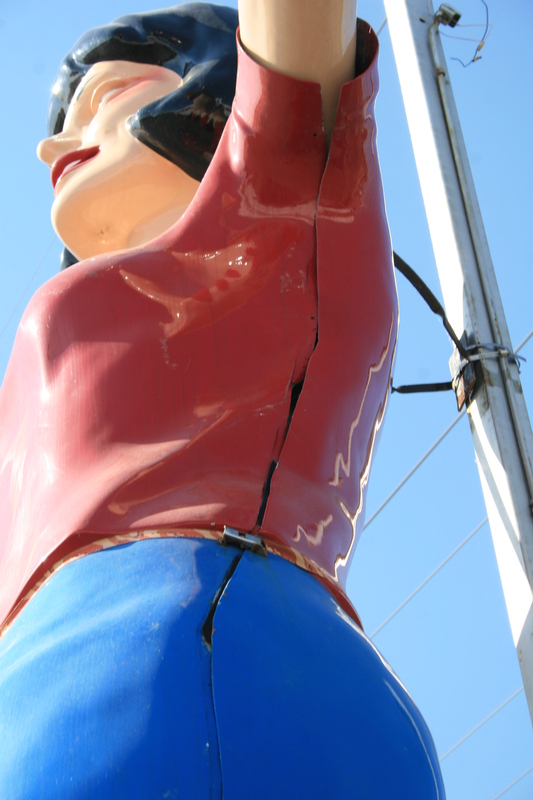 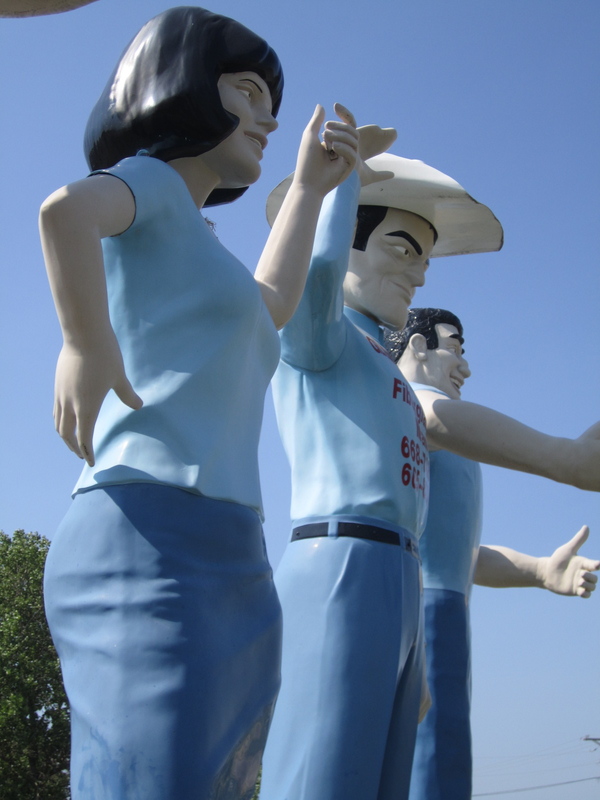 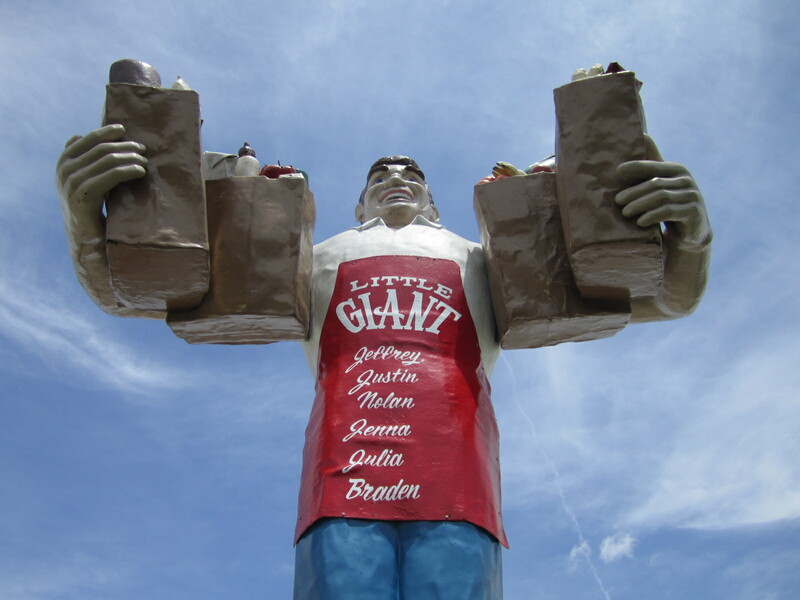 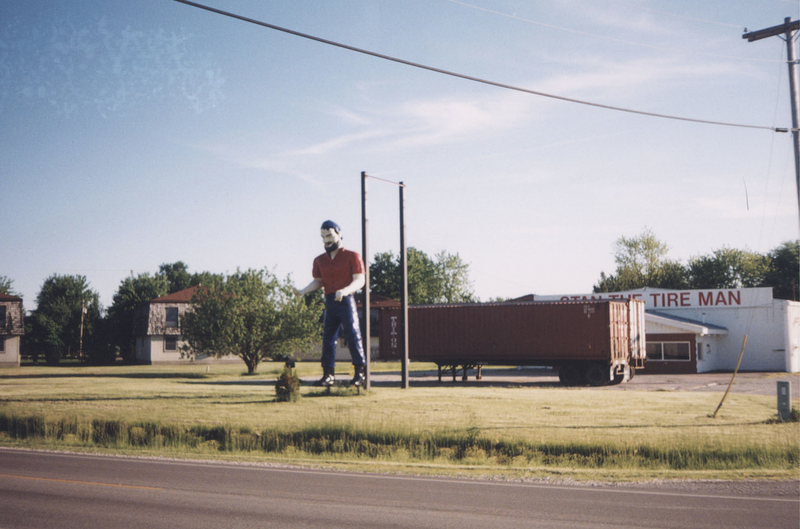 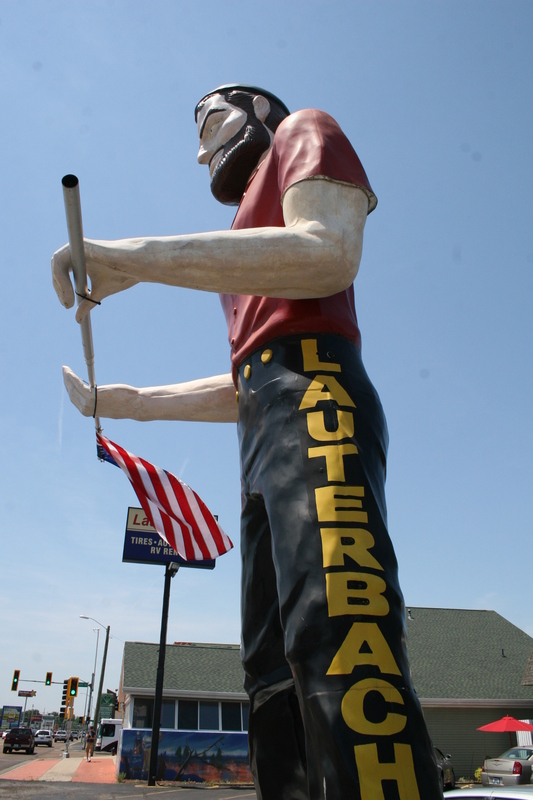 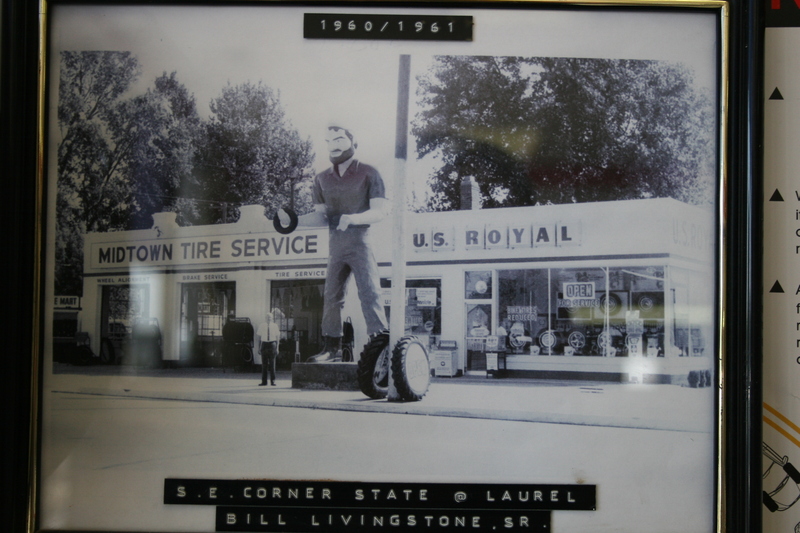 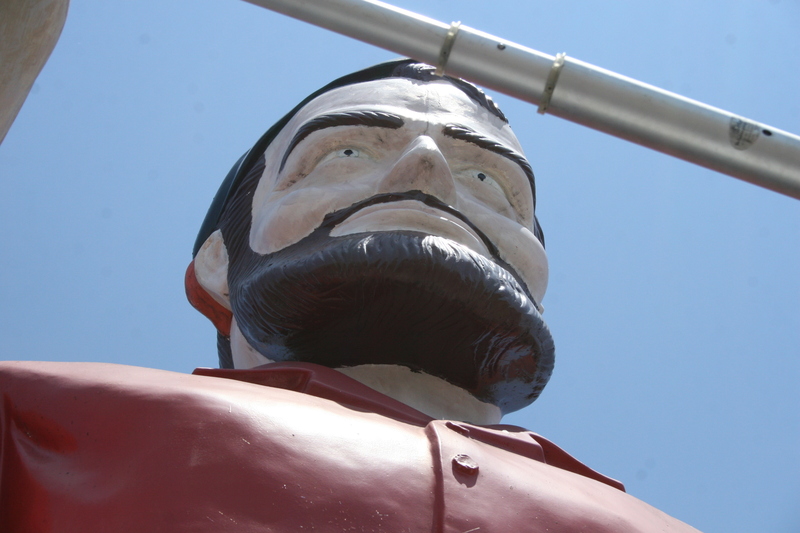 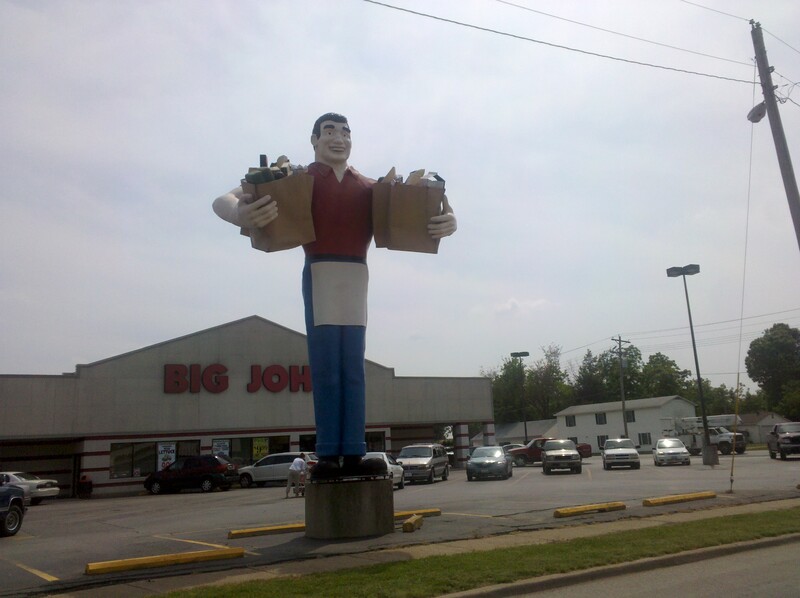 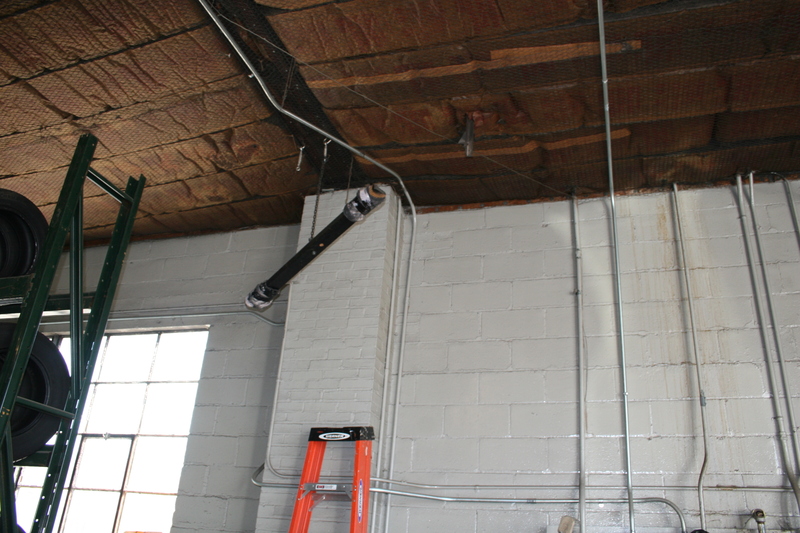 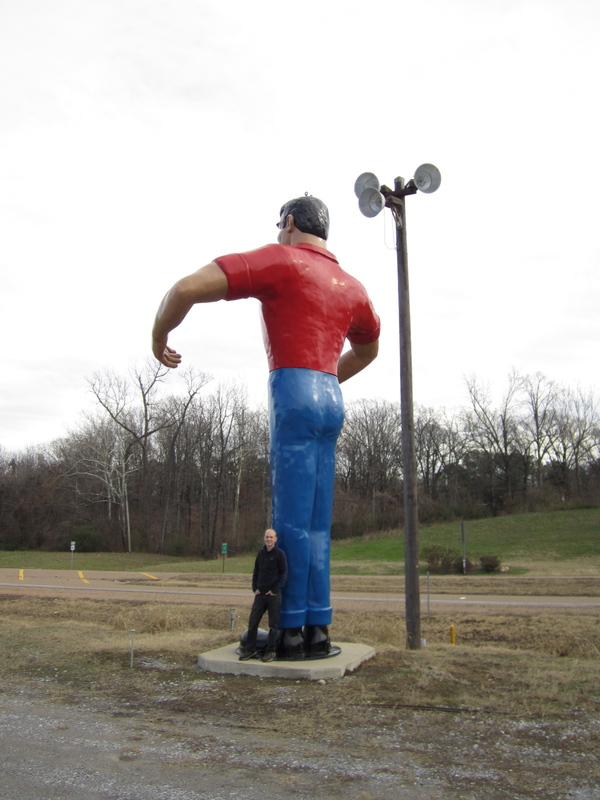 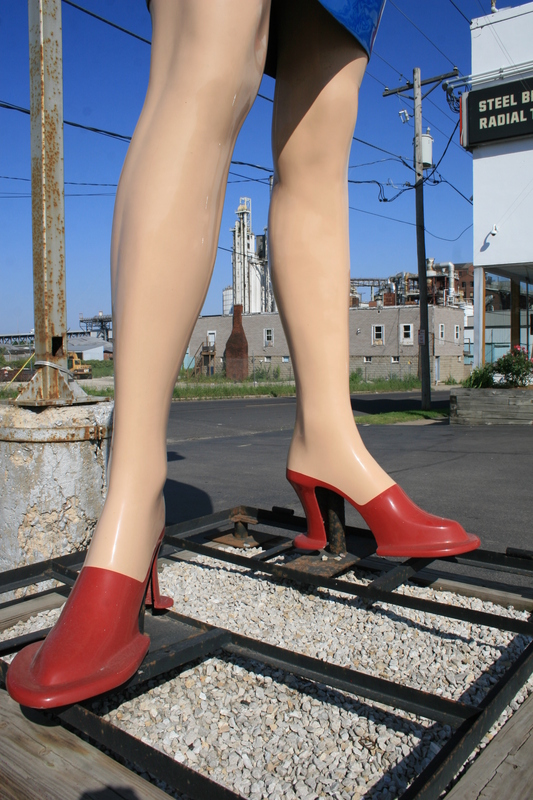 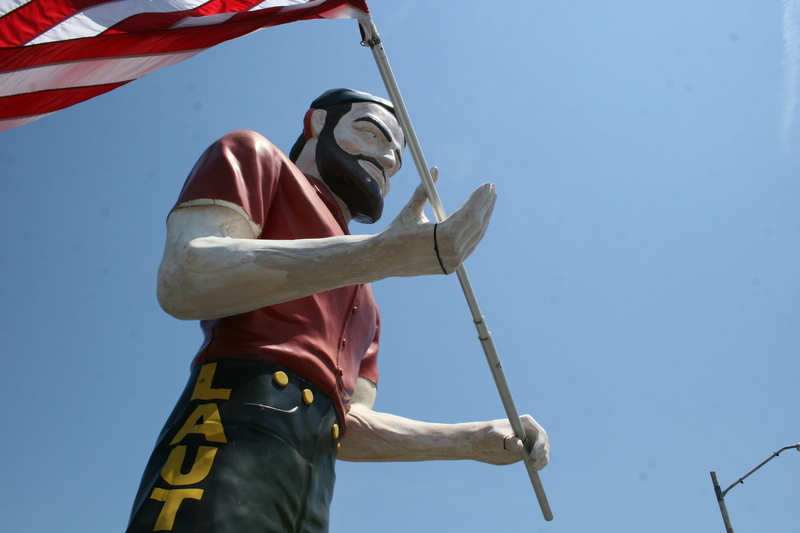 She was moved to Mt Vernon and the muffler man stayed on in Salem for a number of years before being sold to a muffler man collector in North Carolina who owns a log cabin company along I-95. 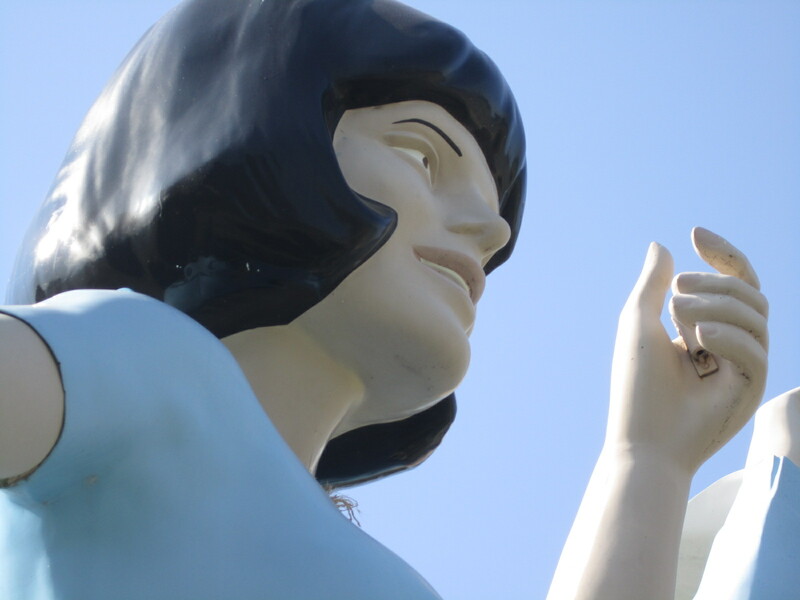 I’ll post more about her and other Uniroyal girls in some of my future blogs.